In autumn, a strong wind blows flower seeds high in the air and carries them far across the land. One by one, many of the seeds are lost -- burned by the sun, fallen into the ocean, eaten by a bird. But some survive the long winter and, come spring, sprout into plants, facing new dangers -- trampled by playing children, picked as a gift for a friend. Soon only the tiniest seed remains, growing into a giant flower and, when autumn returns, sending its own seeds into the wind to start the process over again. 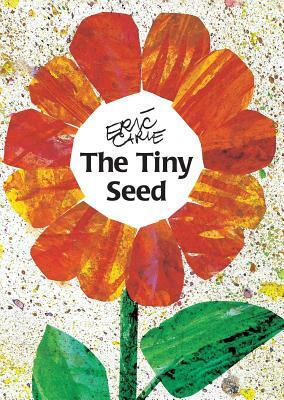 Eric Carle's eloquent text and brilliant collages turn the simple life cycle of a plant into an exciting story, a nature lesson, and an inspiring message of the importance of perseverance.